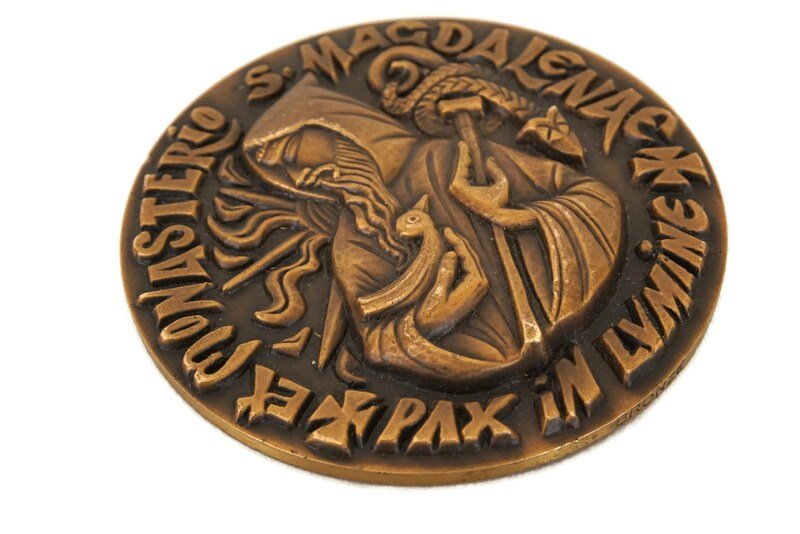 A lovely vintage French Saint Benedict bronze medal, souvenir of the Abbey Saint Magdalene of Barroux (South of France, in Provence). 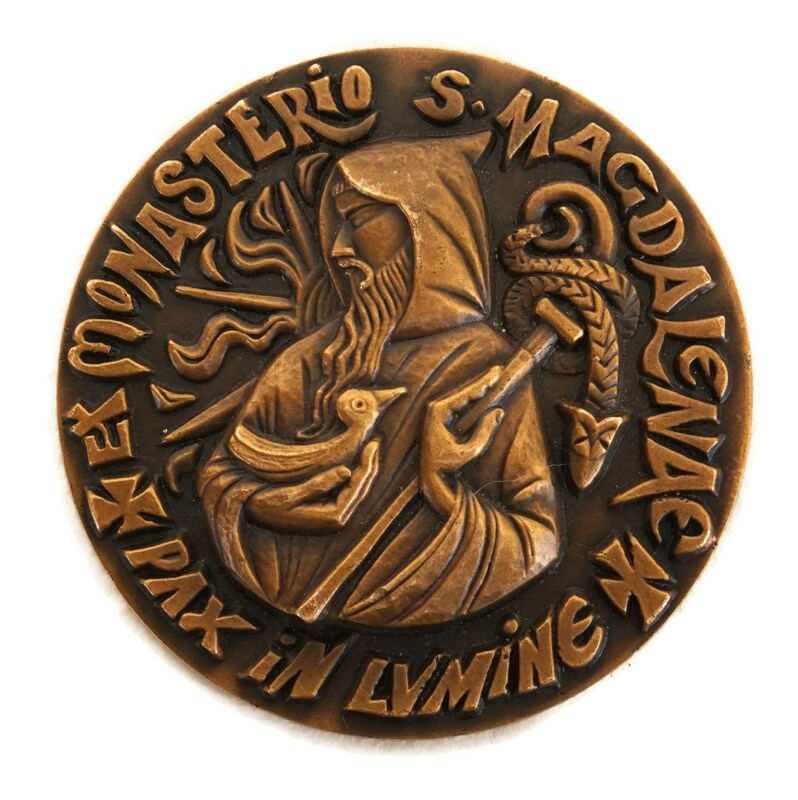 The medal has been made from solid bronze and features a striking modernist raised relief design representing on one side an image of Saint Benedict, holding the Holy Rule in his left hand and a raven in his right. 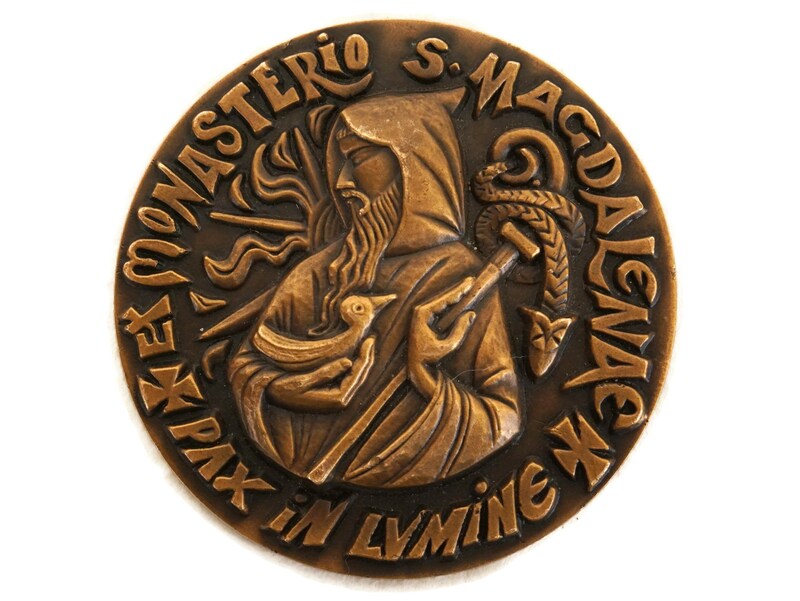 Around the medal's outer margin are the words "Pax in Lumine" and "Et Monasterio S. Magdalenae". 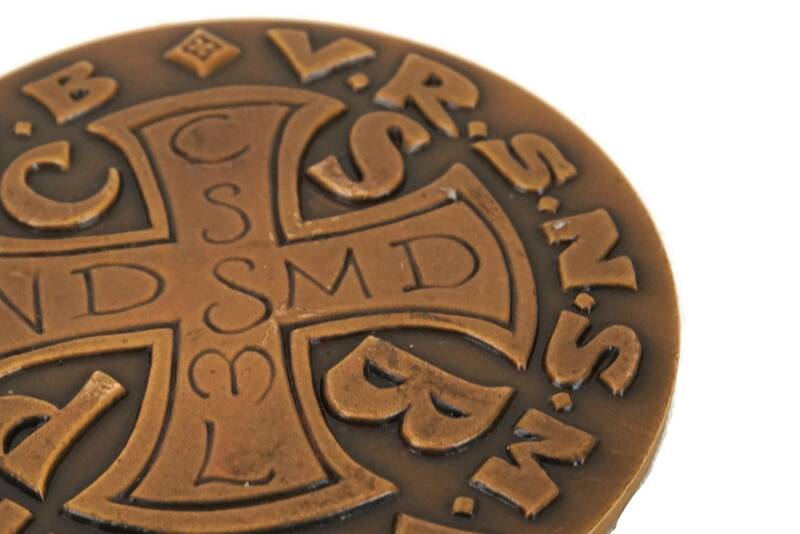 The other side of the medal has a cross with the initials CSSML on the vertical bar which signify "Crux Sacra Sit Mihi Lux" ("May the Holy Cross be my light") and on the horizontal bar are the initials NDSMD which stand for "Non Draco Sit Mihi Dux" ("Let not the dragon be my overlord"). 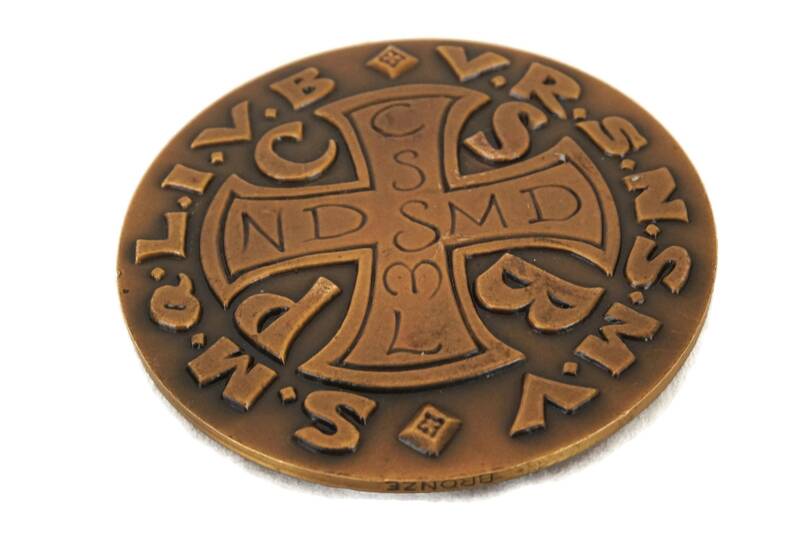 The initials CSPB stand for "Crux Sancti Patris Benedicti" ("The Cross of the Holy Father Benedict") and are located on the interior angles of the cross. 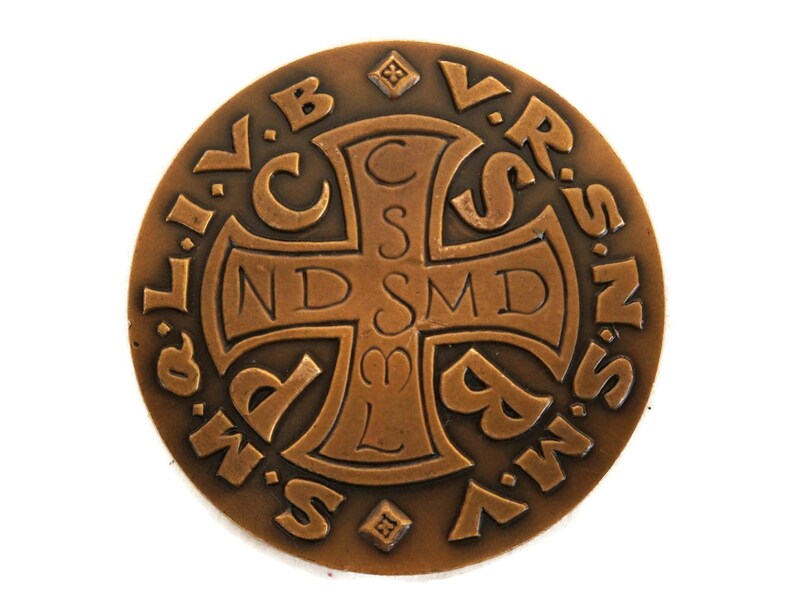 Around the medal's margin on this side are the Vade Retro Satana initials VRSNSMV which stand for "Vade Retro Satana, Nonquam Suade Mihi Vana" ("Begone Satan, do not suggest to me thy vanities") then a space followed by the initials SMQLIVB which signify "Sunt Mala Quae Libas, Ipse Venena Bibas" ("Evil are the things thou profferest, drink thou thy own poison"). 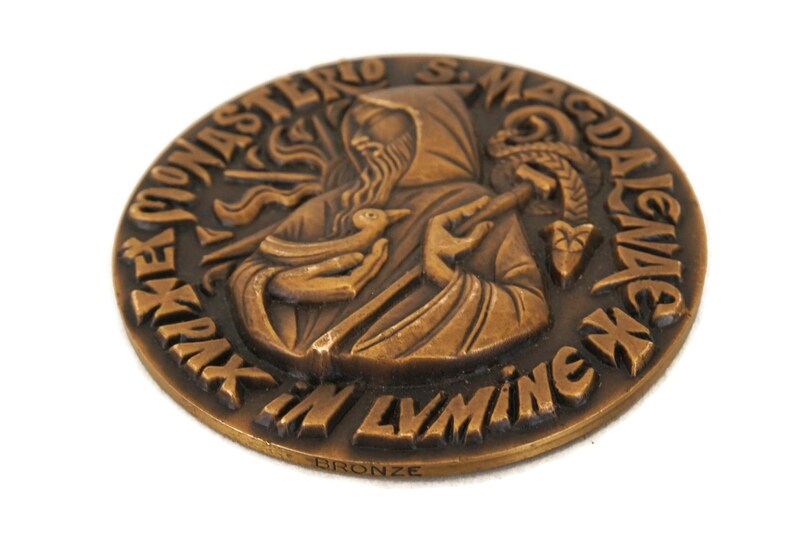 It is marked "Bronze" on the edge. 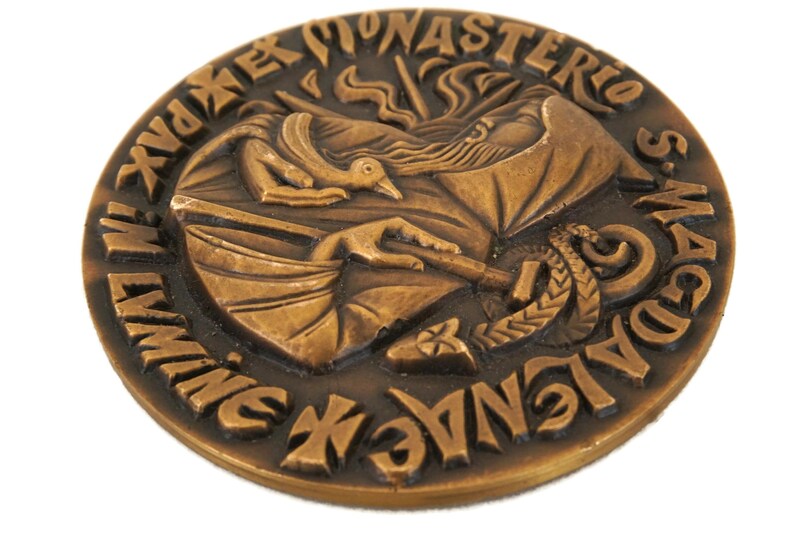 2 3/4" in diameter (7 cm). 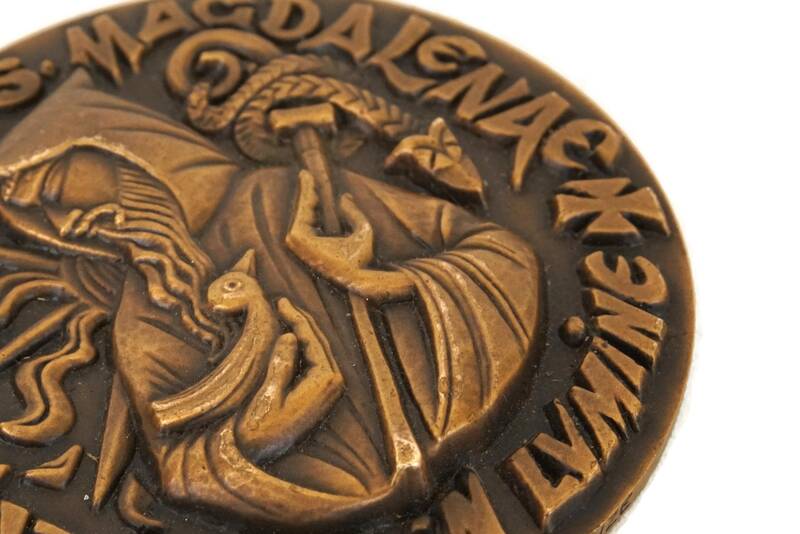 Thickness of the medal: 3 mm. 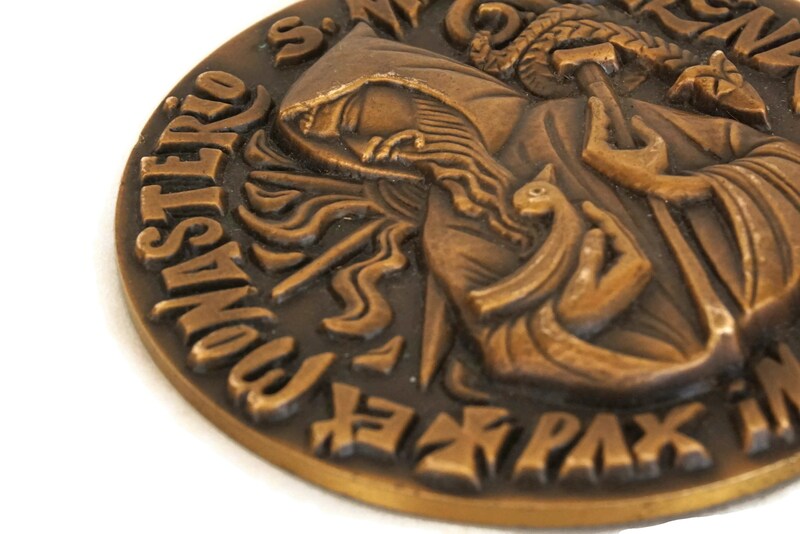 The religious bronze medal is in very good condition with an aged patina.